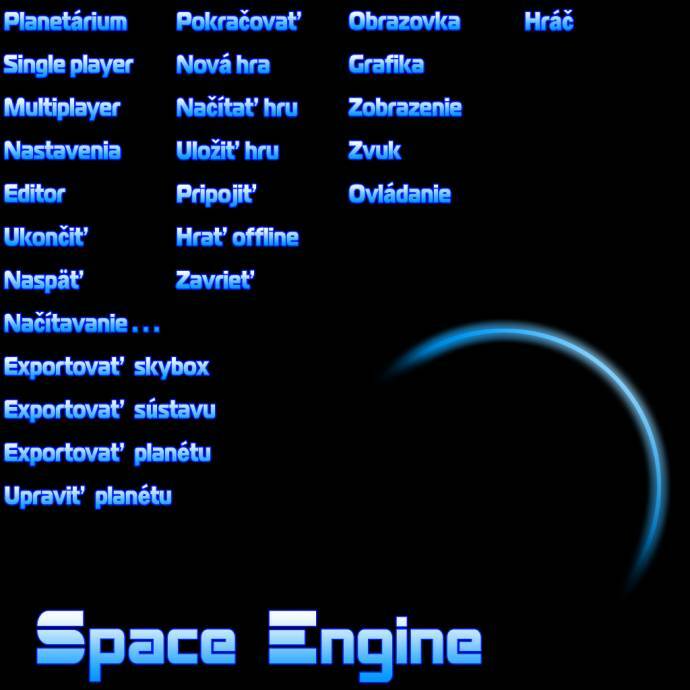 changed: "Show objects" "Ukázať objekty" to "Zobraziť objekty"
I tried to make slovak localization. It's far from perfect and I'll be glad if somebody could test it. I hope that it doesn't have many errors. Very good! I can't check the spelling, but I made quick inspection of GUI. All strings having good length, no distortion of tables etc. Good work Gombicek! With your permission, I will include this localization into next version 0.9.7.1. Jasne. Nieje problem. podakovanie ani netreba. 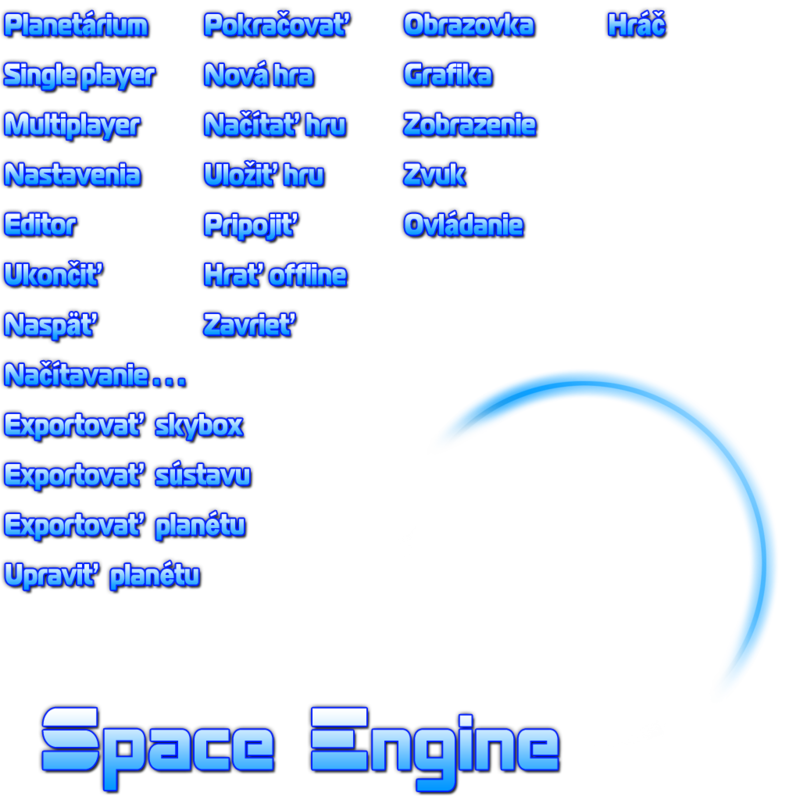 Gombicek, for "Export" in export system you used Exoportovat', while in export planet and export skybox you used Exportovat'. Is this correct or a typo? It is a typo. Thanks for pointing it out. I haven't noticed it. Ok, I really actually think I've got the menu correct now! Gombicek seems to be inactive since 2013... New translator for Slovak wanted!